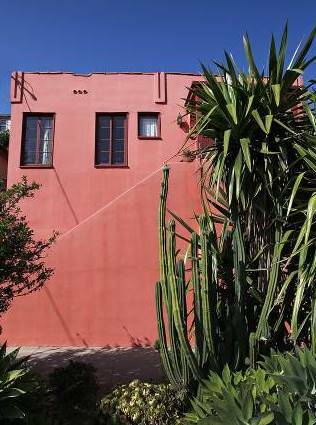 Perched at 3621 Effie Street, this 1921 Spanish is the quintessential Silver Lake artist’s studio, with the opportunity for a fresh renovation. It’s now on the market after 24 years, and in need of a like-minded artist to transform it to into a live-work sanctuary. Please join me tomorrow, Sunday, September 11th, between 2 to 5 p.m. at the open house. To schedule a private showing, please contact Jovelle directly at (213) 718-1110. 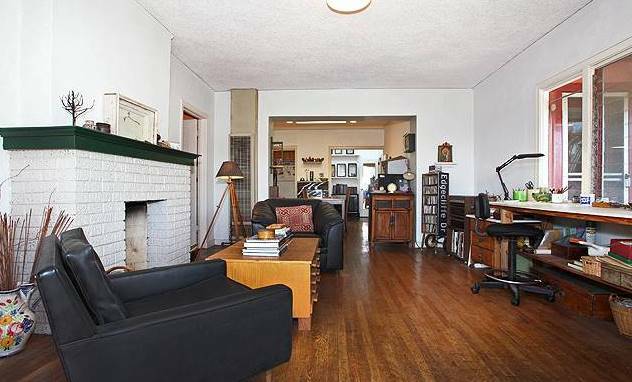 Spacious patio, above garage, with sweeping palm tree-lined hillside views of Silver Lake & Downtown L.A.
Period details remain, including original hardwood floors & a brick fireplace. 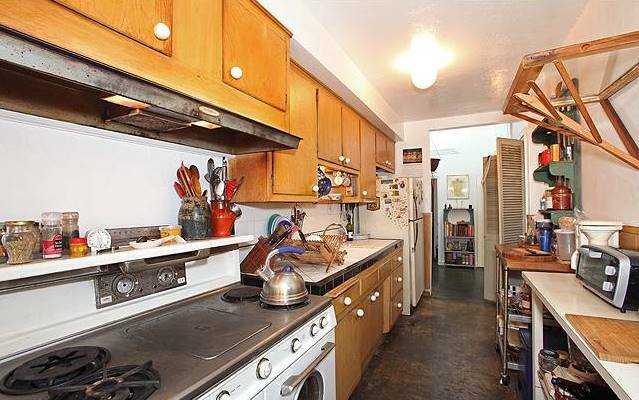 Above: A galley kitchen complements the home’s functional layout. Below: A skylight opens up the dining room. 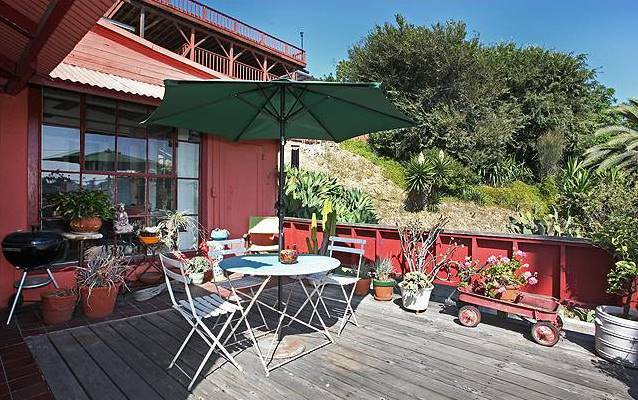 Rob Kallick of Keller Williams Realty, Los Feliz, has the listing.